Provision for automatically muting the speakers when transmitting, to eliminate overloading and audio feedback. A sidetone to monitor CW keying. SDRs do not provide a CW sidetone, and even worse, the time delay resulting from digital signal processing (“latency”) makes it impossible to monitor one’s own signal as can be done with a conventional receiver. A convenient means of switching the antenna between the transmitter and the SDR receiver and protecting the receiver input during transmit. 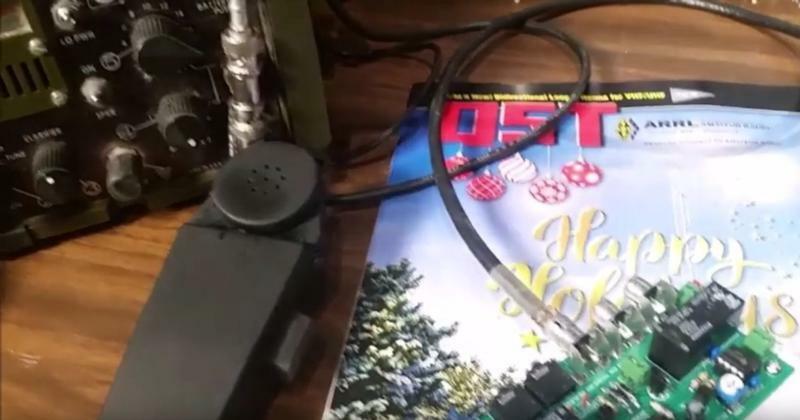 The VERSA-TR was designed to address these shortcomings of SDRs, but also makes it easy to put low-power vintage and conventional radios together to create an integration station with automatic T/R switching, muting, and CW sidetone. Only the antenna connections need be made since RF sensing eliminates the need to wire up relay contacts and muting circuits. Regular or amplified PC speaker muting is plug-and-play. The VERSA-TR can be used in a variety of ways with transmitters range from < 1 watt to 100 watts output, for CW, AM, SSB or other modes. Watch this site for application notes showing various configurations and applications.